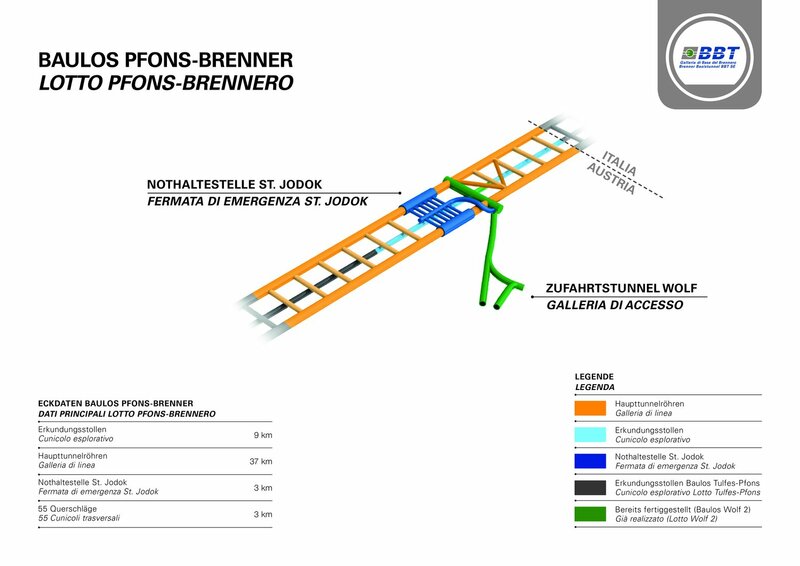 The award of the largest construction lot for the Brenner Base Tunnel in Austria, Pfons-Brenner, was a further important step in building the longest underground railway connection today. 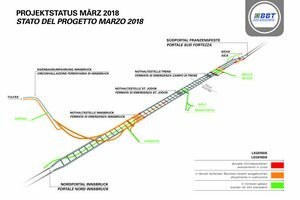 The Brenner Base Tunnel company, BBT SE, awarded the contract on March 23rd 2018 to the bidder consortium consisting of PORR Bau GmbH, G. Hinteregger & Söhne Baugesellschaft m.b.H., Società Italiana per Condotte d’Acqua S.p.A. and Itinera S.p.A. This consortium will build the largest stretch of the BBT project in Austria. The contract is worth EUR 966,058,438.46. The award came after several bidders had presented appeals to the Austrian administrative court, which were however rejected and the consortium headed by PORR was confirmed as awardee. The stretch includes the construction of 37 km of main tubes between Pfons and the Brenner pass, about nine km of exploratory tunnel and the emergency stop in St. Jodok. The two main tubes will be built using tunnel boring machines. The other stretches will be built by blasting. Construction is expected to last six years. This construction lot will produce about four million cubic metres of spoil. About a third of the spoil in the Pfons-Brenner stretch can be recycled as additives to produce concrete, tubbing rings or filter gravel. The spoil that cannot be recycled will be carried by automatic conveyor belts directly to the largest disposal site for the BBT in the Padaster valley. There will be no spoil transports through residential areas. The transports of material will either take place via rail and a specially built rail line from the station in Steinach or via the Brenner highway through the Saxen tunnel at the construction site itself. 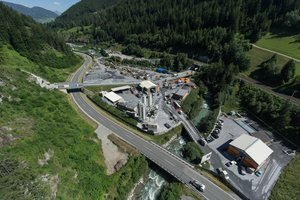 The works for the 64-kilometre Brenner Base Tunnel are ongoing at several construction sites at the same time both in Austria and in Italy. In mid- March 2018 over 80 kilometres, meaning a good third of the 230 km of tunnel to be excavated had already been completed, including 23 km of main tunnels, 29 km of exploratory tunnel and about 28 km of access, rescue and logistic tunnels. 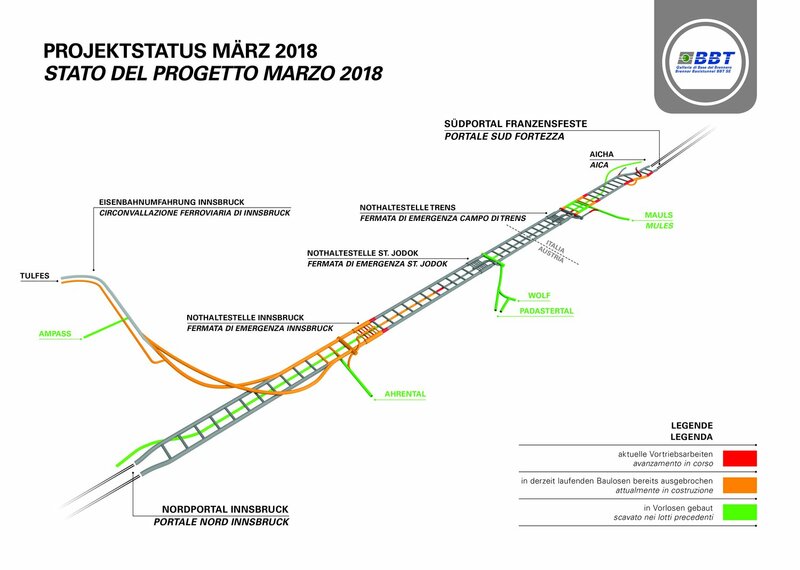 Currently, there are four tunnel construction lots under way besides the restructuring and expansion works on the stations in Innsbruck and Fortezza. In Alto Adige, work is ongoing 24/7 at the Isarco river underpass construction site north of Fortezza, on the Mules 2-3 construction site (from Mules to Brenner) and, in Tyrol, at Wolf/Steinach for the Pfons-Brenner construction site and in Ahrental for the Tulfes-Pfons construction site.